Professional cufflinks that stand out are hard to come by today, especially when you want to remain in a reasonable price range as well. These rectangular cufflinks check all of those boxes and more. They're silver and blue in color. 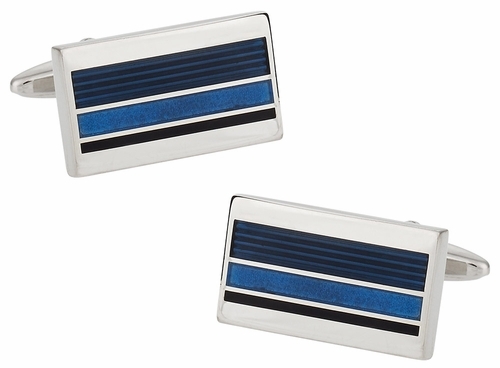 Two dark blue stripes mesh well with a bright blue central stripe to give these cufflinks life and style. 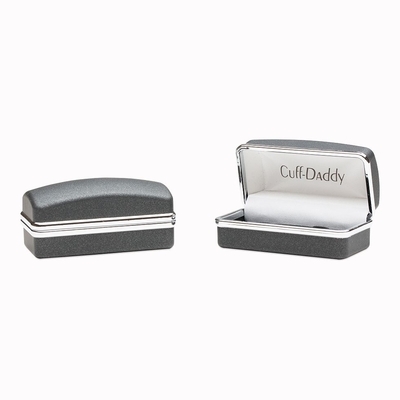 They would work well with both dark and light shirts and they are meant to take the place of a variety of solid color cufflinks. 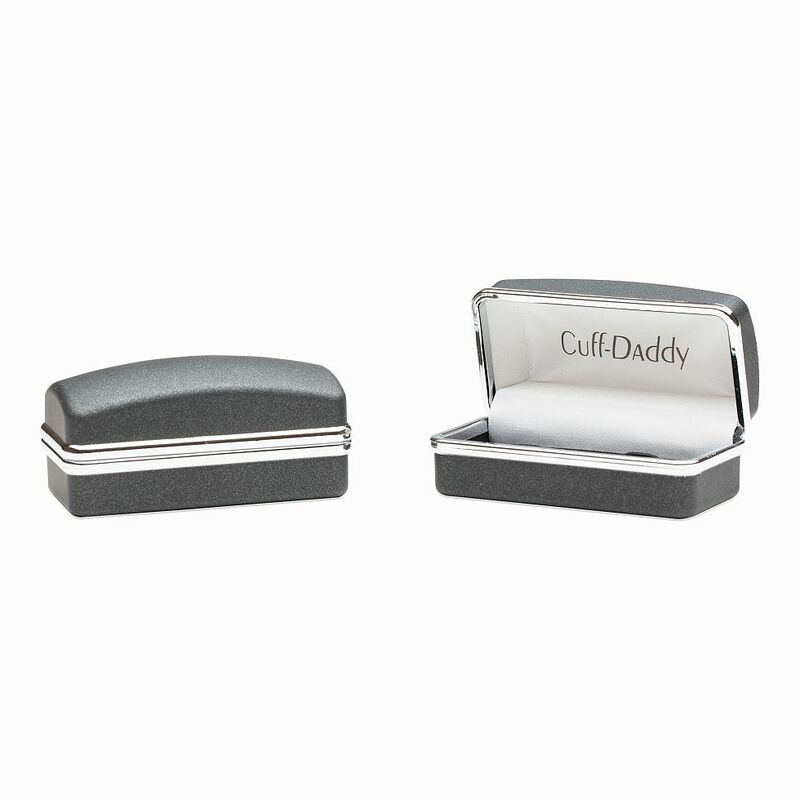 They're highly versatile and have the appearance of cufflinks more than twice the price of these.